John Skipper began as President of ESPN on January 1st 2012 with enormous shoes to fill from his predecessor, George Bodenheimer. However, Skipper has been up to the task as ESPN has only continued to grow. Skipper has been with ESPN for 14 years, starting in 1997 as senior vice president and general manager of ESPN The Magazine. He led ESPN The Magazine to phenomenal success and was promoted. In addition to ESPN The Magazine, John Skipper was a central character in the creation of ESPN Insider, WatchESPN, ESPN3, and the continued initiatives of ESPNW and ESPN Deportes. Skipper has frequently appeared on several media and cable industry “most influential” lists, including, CableFAX Magazine, Business Week and The Sporting News. In December of 2011, John Skipper was rated the third most influential person in all of Sports Business by Sports Business Journal. Skipper holds bachelor’s and master’s degrees in English Literature from the University of North Carolina and Columbia University. Before workign at ESPN, Skipper held influential positions at Straight Arrow Publishing,SpinMagazine,Rollling Stone,Disney Magazine, and The Disney Publishing Group. Hello everyone, welcome to sportsnetworker.com My name is Joshua Lagan. I have a very special guest with me today, John Skipper, President of ESPN. John, thank you so much for being here today. John, I don’t know if you realize but you’re an inspiration to us young sports business professionals because you had your passions and your dreams and you accomplished them. So that’s what we’re striving for, that’s what we’re trying to become. So I just had a couple questions about the job you’re currently in, the lessons you learned on your way to get there, and the advice you would give to other people. So my first question is, you did your undergraduate and graduate degrees in English literature. That’s pretty unique. I was hoping you could tell us about how you got into sports, and why you made that transition. Well first of all, it’s very kind of you for you to suggest that I would be an inspiration for anybody, but I’ll take it. So thank you very much. I get asked a lot about “gee, you’re an English literature major, what was that all about?” It wasn’t about anything at the time. It was about going to school and pursuing degrees in something I cared about. And what I cared about was literature, and reading and writing, so I did that. So the first thing I would say to people is you can have a career in sports, you can succeed in business with a business degree, without a business degree, with a communications degree, with a media degree of some sort, with a literature degree, with a Latin degree. I didn’t expect to get into sports at the time, my interest was to get into publishing- Magazine and book publishing. I got into sports because I had the great fortune that Walt Disney bought ABC Cap Cities which owned 80% of ESPN and the president of ESPN at the time Steve Bornstein, wanted to do a magazine. And so my book and magazine experience, and my literature degrees, my book and magazine experience served me well because the president of ESPN wanted to do a magazine. So my career at ESPN started by launching ESPN the magazine. So that’s where I had the transition. We had the good fortune that ESPN magazine worked great. Tapped into a younger audience that wanted a different type of magazine, that looked forward to it, that wanted insight into events coming up. That looked a little bit different, looked a little bit hipper, had a greater sense of graphic design and bold photography, and it worked and launched my career at ESPN. So you kind of learned a long the way about business development and finance etc? Well I did. But actually for years I worked at Rolling Stone magazine. It was actually a small business there were only 80-85 people. I did a little business development, a little analytics, a little business modeling, a little PR, release writing, I wrote renewals, bills and letters, did some ad sales, so it was a pretty good grounding in overall business being there. I was actually kind of fortune to work at a small company first. Well this is what I was talking about with the inspiration, because you found what you liked, and you went after it. Because of how expensive college is, a lot of people are telling us “even if you love something, you can’t go into it, because you have to go into something that makes money.” So you have to go into finance, or nursing, or something like that. So it’s an inspiration to us young people. It would be presumptuous of me to presume about other people’s circumstances, so people have to decide what they can do and not do. I had the great fortune that I didn’t come out of college with any debt. No loans. Now first of all I went to a state university that was inexpensive. At North Carolina, which remains relative even to other schools, less expensive. I worked during school, I worked during the summers, because I really didn’t want to come out with debt. But that’s what I mean by being presumptuous, it’s just not possible for lots of people now. I just put two sons through college, one at Bates, and one at Vanderbilt. Neither of which is a public university, both of which are fairly expensive. But they have the good fortune of they both had scholarships, they both worked. And I had the ability to get them through college without debt, but I forget the numbers, it’s huge- in terms of the percentage of people who come out with debt, and sometimes you do have to make compromises. But you don’t have to make 60/80/100,000 dollars when you come out, a lot of them think they do. So it was a different time and place but I lived in New York City and made $250 a week. And you couldn’t live on $250 a week, but I did. In my opinion, pursuing what you really want to do early on, but understanding that people have financial circumstances, and don’t have the benefit of being in financial circumstances they can control, you’re still better of trying to pursue what you care about. I agree, and I think at the end of the day its work ethic that separates you. If you’re willing to put the time in, and take the summer job, and not go out on weekends, and spend your time waitering, that’s what Rosalyn Duran did. That was the first thing I asked her, we were talking about college and she said she did waitering jobs when everyone else was out having fun. It’s about choices. I think that’s the real lesson from this. Yes. Work ethic certainly matters. I had instilled in me from my father a very significant work ethic. We mowed the lawns, I had my newspaper route. I went to work..
No… you can’t go uphill both ways. Although I do know, one thing about riding your bike uphill. You go uphill so much slower it feels like you’re always going uphill. My father lied to me then, because he said his paper route was uphill. It’s not possible, I’m pretty sure it’s not possible. Alright, sounds good. We’ll go with you then. Now I’m sure many of our listeners are eager to know about what a day is like as the president of ESPN. Now I know there is no average day, especially with the Olympics coming up, but what does it look like. Well you’re right, there is no average day, which is one of the most interesting parts of it. Every day is different. But every day does include some commonalities. It includes some phone calls you have to return. It includes lots of emails you have to return because that’s how a lot of business is done these days. It involves always, no matter where you are- whether I’m in this office or in Bristol CT, or traveling, it involves some number of decisions that come up during the day. Whether it’s me with talent contracts or new yesterday we had to make some decisions about how we wanted to cover the Penn State news that came out. We’ve got events going all the time. We had the British open that we had to worry about, you’ve always got meetings, you’ve always got people you’ve got to stay in touch with. There really is no average day. I spend a fair amount of time spending times with rights owners, I spend a fair amount worrying about news coverage and how we’re going to do that. I spend a lot of time with my direct reports, and checking in to see how things are going. And trying to make sure they have what they need from me. I have to check in a little bit with Disney. Because ESPN is a division of the Walt Disney, we have to make sure we’re in sync there. With how we operate, with what our financial forecasts look like, what our results are going to be quarter by quarter, year by year, five years by five years. So it’s always hectic. I can tell you every day is hectic, I can tell you every day goes by in a flash, and you have to do everything quicker than you ever thought you would. Things that I used to do like setting up appointments I’d say we’ll do that from 3-4 now I have to say we’ll do that from 3:30-4. We set up 10 minute appointments. I didn’t know that existed. So what does the perfect day look like? Do you enjoy the traveling the flying around? I enjoy the traveling. We have lots and lots of perfect days. A perfect day is being at some event we’re doing with our production guys our programming guys, and it goes well, he ratings are up, our fans are happy, our partners who are our rights owners are happy. But it’s okay, I can have a perfect day sitting in the office when I get a call from our CFO that says our results from the quarter are gonna be great. Or the guy who runs our sales calls and says we just did a 40 million dollar deal with company X. We resigned a key talent, that’s a good day. I get emails from fans telling me how much they enjoy the coverage, that’s a good day. I mostly have good days. Most of the feedback I get is good. Well that means your foundation is solid and you’re heading the company in the right direction. Well the foundation of our company is very solid of course. And it was really put in my place by my predecessor George Bodenheimer. Who was in this job 13 years. This is my seventh month, and the good news is I inherited the company in very, very good shape. I got very stable management. All the senior management at the company has been here for a really long time, so I’m not fixing anything, plugging holes. You know the proverbial, dam. So things are going great. My job is try to just make sure we sustain that for as long as possible. And so far so good. I know that two of your big initiatives for ESPN this year and going into next year were ESPNW , and ESPN Deportes. Could you talk about why those two are so important? Well our mission is to serve fans. The overall population of the country is changing, and the composition of fans are changing at the same time. Because of Title 9 you’ve got forty years of women participating in sports, so that’s certainly resulted in being more interested in sports long term. We launched ESPNW about 15-18 months ago with the idea to try and explore what female fans were interested in, what programing they were interested in –what they would find interesting. We could have an initiative to hire more women in our company. They are going to become increasingly important as our fans. They are already represent 30% of our audience so far, and it’s going to be 35% it’s going to be 40%, so we want to make sure we’re handling them. We want to make sure we’re handling our offerings, so we have things they’re interested in. The ESPN Deportes is specifically the name of our Spanish language media. We have an ESPN Deportes chancel, ESPN Deportes radio,ESPNDeportes.com but we have an overall initiative to make sure we are providing content for both Spanish speaking Latinos in this country and English speaking. Whether it be the new Dan Le Batard show that comes from Miami and features Dan who’s Cuban American, whether it’s spending more money on talent, whether it’s trying to put on more Latin-American and Mexican football on ESPN. We want to appeal to that audience which is part of again making sure that wherever there are sports fans we are serving them. Do you ever see there being and ESPNW TV channel or is that not really necessary? We announced on June 23rd, which is the 40th anniversary of title 9, that we are going to do a channel, but it’s going to be a broadband channel on ESPN, on the channel of the ESPN 3 network. So we will do this year, 5-7 hundred hours of live women’s sporting events. So yeah we want to do more and more, and we’ll aggregate all of that onto the ESPNW channel so ESPN 3. It shows you guys are making a quality product because the demand for those shows are growing . As you said its 30% this year of your fanbase, and possibly 35% next year. ESPN is certainly the leader in that category, trying to make women’s sports popular. It shows that you guys are doing a good job. We want to be leaders in that, and we think it will come around. We’ve been partners with the WNBA a long time. Women’s college basketball, is important to us, women’s college softball does very well, volleyball does very well, we’ve supported the women’s national soccer team and we want to continue to do that. I’m sure we’ll find some other places where we can include women’s sports and where we want to go. I was watching a video of you today with Hilary Clinton, talking about “the global sports mentoring program,” and how ESPN and ESPNW are partnering with the state department. Could you talk a little bit about that, and the goals for that program. Firstly, it’s a state department program. So they really get the credit for coming up with the program. That tries to provide mentoring opportunities for young girls and young women around the world to have some interaction with sports. There’s one thing that nobody debates, which is that girls who play sports have better self-esteem, higher confidence, they do better in school, stay in school longer, and they’re in better physical shape. So we want to support any program that does that. What we agreed to do with the state department is to take a couple of young women from around the world, and have them as interns. So we’re thrilled to be participating in that program because we think ultimately there’s societal good in girls playing sports. We want to support that. Again, you guys are creating the market for that so ESPN is leading the way. Two last questions for you. You’ve worked at Disney, Rolling Stone, Spin, US, and ESPS, so if you can remember back from all those, I’m interested, what was your proudest moment? I’m sure there were many, but just try and think of one where you felt like you really accomplished something. The single thing that I’m proudest of, is to have the opportunity to be in this job. This is a unique and special job. This is a spectacular company, and I had the chance to be in this job, follow George Boedenheimer, and lead this company which is a real privilege, and I’m real proud of it. While there are lots of things I’m proud of. I’m proud of ESPN Magazine. I’m proud of what we did with ESPNW, of our efforts to try and diversify our workforce. So there’s a lot to be proud of. I had fun times and good moments at Rolling Stone and Walt Disney, but really I’d have to sight getting this job as the proudest moment. I can understand why it would be. It’s not too bad. There are harder ways to make a living. This is true. 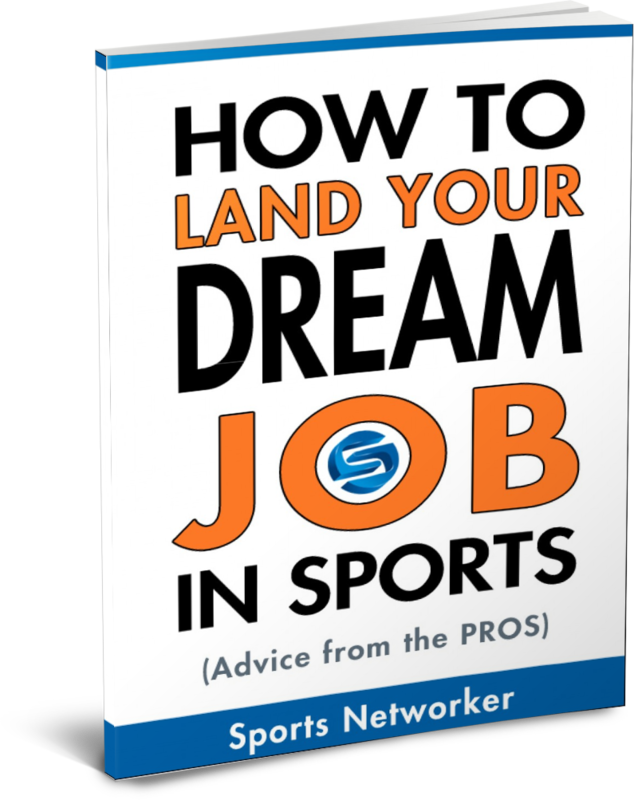 So my last question, is to ask you to give advice to young sports business professionals such as myself who are trying to break into the sports business industry? Again, I don’t want to be presumptuous because everyone’s situation is different. But I would start at least with the advice I had before which is you have to find what you really enjoy doing and try really hard to do that. And there’s no better time to do that by the way, then when you’re 22, 23, 24… it won’t get easier. Because you’ll inevitably have more responsibilities. Whether that be a mortgage, or a partner, or house payments, you’re going to have more responsibility. You mentioned work ethic. Work ethic is really important. Finding someone who is a mentor, who’s a supporter, is really important. Having an advocate once you get to a company and identifying the companies you want to work at is really important. And then trying to find some things that you can “own”. Whether it’s a project or ideas that you can execute somewhere. Everybody who walks around the company has an identity. “There goes the guy who produced the world cup, and “wow” that was great. So you’ve got to find some things that you can contribute to which become part of your identity. So I’ve said that, but it’s a tough time right now. Sports are growing, so there are sports opportunities. 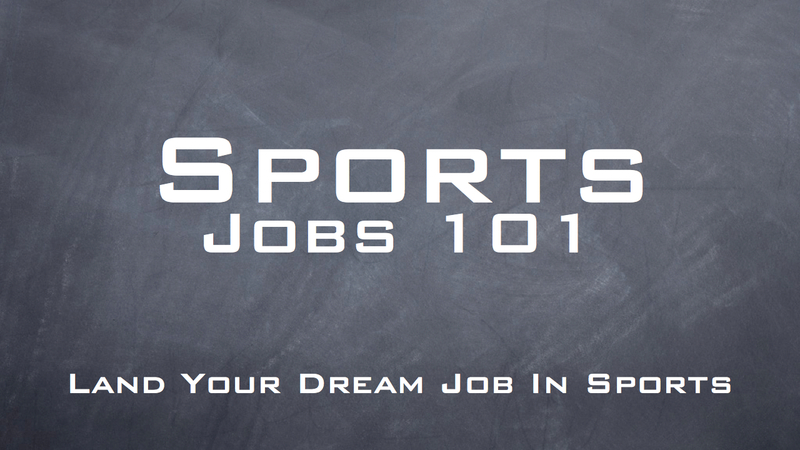 Whether that be with teams or leagues, networks, or digital, there are lots and lots of sports jobs. But on the other hand it’s really really hard. You’ve got to network, you’ve got to find somebody. It is harder than it should be in a lot of a ways to send in the most beautiful resume ever , with the most beautiful experience ever, and hope it gets plucked out of a pile of somewhere… It’s probably unlikely. Probably have to find someone who can be an advocate for you at the company. Well John, thank you so much for your time. As a big fan of ESPN, and I’ll even say a fellow colleague, I really appreciate your time today, and its excellent advice. Loved this article. I wanted to share on LinkedIn but I couldn’t get your LinkedIn button to work. thought you should you know. Thanks for the article. I tweeted a link to it. Thanks Ruby for your kind words. I’m glad you appreciated it! dear john, your sports reporters always voice their personal view on every sports report they make and your network is afraid to fire steven a. smith for racial slurs that he has used in past reports and how can you allow most of your white reporters to talk bad about afro american sports stars? then there is reporter john anderson who wants to be a white richard pryor you ought to send him to the comdy channel since he wants to be a clown.and skip bayless is a closet racists. mr. skipper the veiwers at home who have common sense can read between the lines very well at least i can i’m suprised that the fcc has not seriously fined you guys for allowing this kind of broadcasting to go on half of the black sports anylist want to be white and hate being black thats another issue so please mr. skipper clean up espn before your reporters destroy espn later. 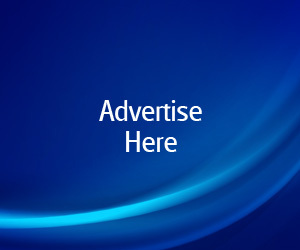 I’ll immediately clutch your rss as I can not to find your email subscription hyperlink or newsletter service. Do you have any? Please permit me understand so that I may subscribe. Thanks. As far as me being a member here, I wasn¡¯t aware that I was a member for any days, actually. When the article was published I received a notification, so that I could participate in Comments, That would explain me stumbuling upon this post. But we¡¯re certainly all intellectuals. Avec les crhymes haineux ont 茅t茅 gestes si 茅laborent vous pouvez facilement les confondre avec l’American Sign Language, mais pour les gens qui n’avaient aucun int茅r锚t dans la dignit茅. Vous n’avez pas seulement faire la paume gauche vers le bas paume droite jusqu’脿 applaudir ensemble battez combo seul, vous fouett茅, cass茅, pantomimes et gel茅 comme des statues. Une fois, j’ai vu un qui a suivi un coup de karat茅 脿 l’os du cou avec un fant么me 艙uf vibrant fissuration sur le dos. Si j’ai vu deux enfants au couteau de l’autre tout en chantant Down Down b茅b茅, je serais probablement contente de sourire et continue 脿 pied.